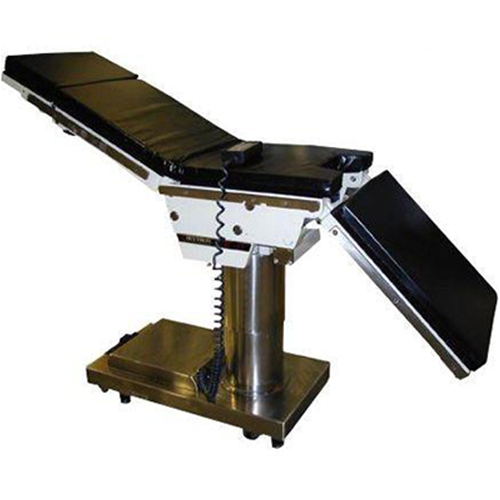 The Skytron 6001 Surgical Table is an electro-hydraulic surgical table with a remote control and C-arm positioning to meet all imaging requirements. The stability of the table and the rigidity of the top provide assurance that the patient position will be maintained and desired. Power Requirement: 120 VAC, 60 Hz.